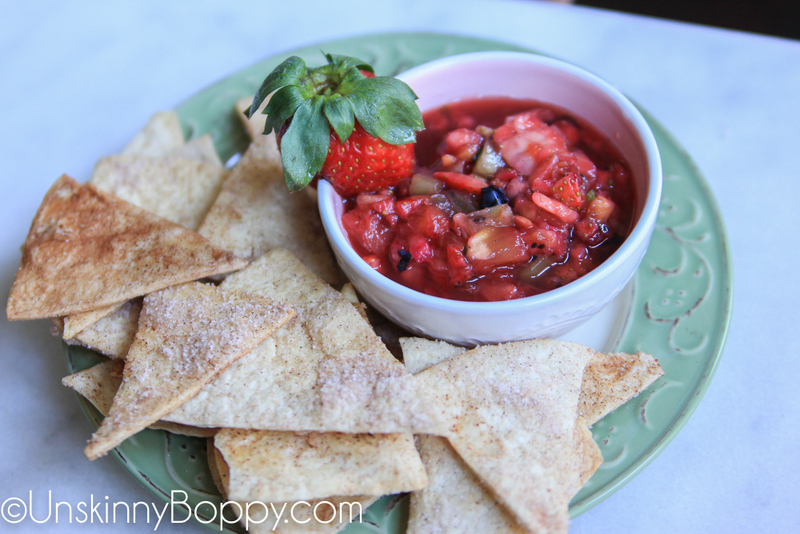 The last Bunco night I attended had a Mexican theme, so I decided to whip up some strawberry salsa and churro chips for the ladies to snack on before the dice-rolling began. I’ve made this recipe a few times over the years and it’s always a HUGE hit at parties. 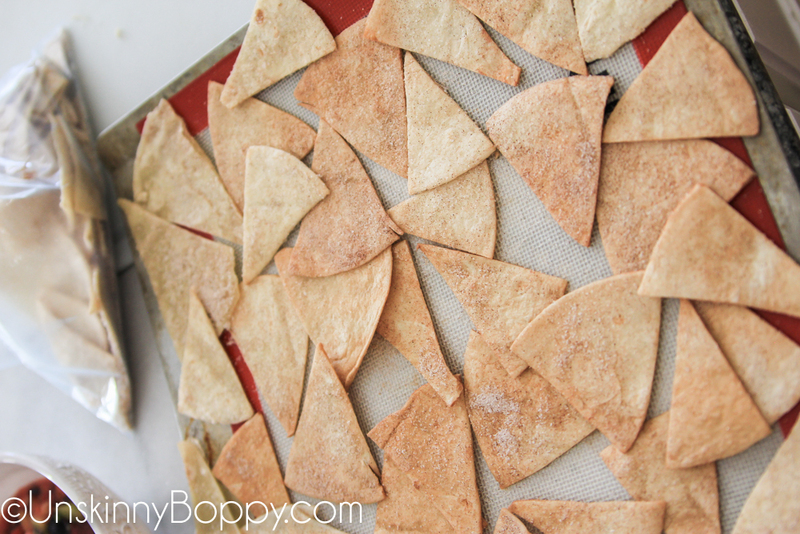 If you don’t feel like making your own churro chips, you could just buy a bag of Stacy’s Cinnamon Sugar Pita chips, but there is something about these crunchy homemade cinnamon wedges that makes for an extra special treat for a party. Or, if you have a kid like mine who would list churros from the Costco concession stand as one of their Top Five Favorite Foods, these are a quick and easy substitute for a special treat. So, let’s gather up the ingredients and get this cinnamon train a-rolling. Wash all the produce thoroughly. 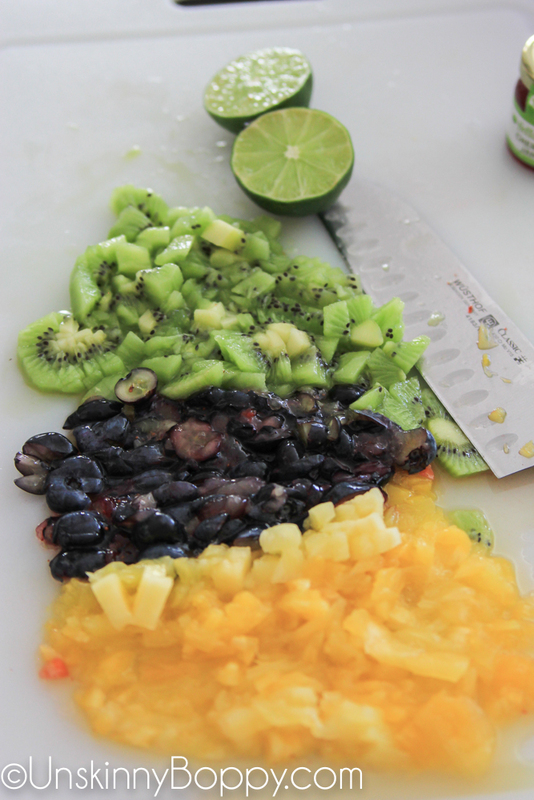 Remove the green tops from the strawberries and peel the kiwi. 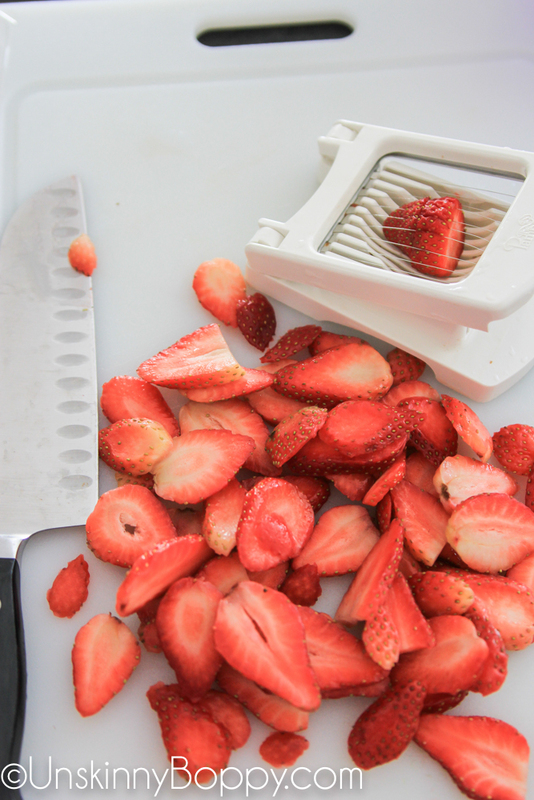 Slice the strawberries. I love to use my Pampered Chef egg slicer for this task. 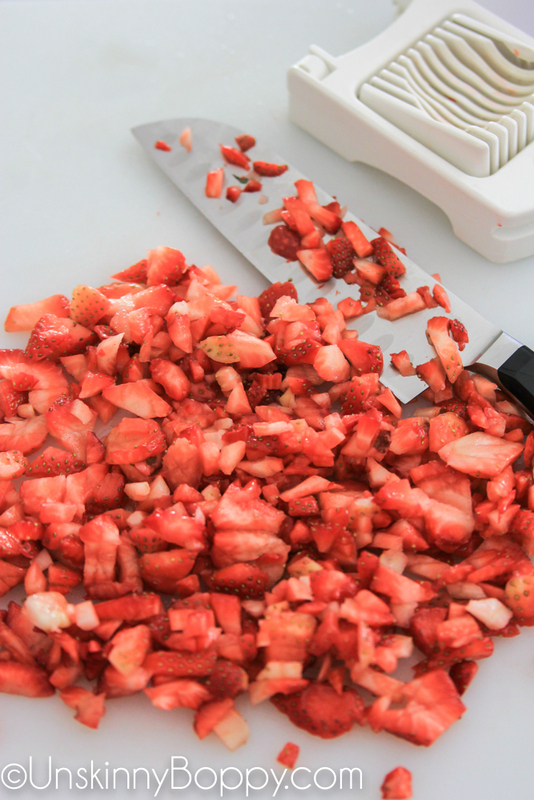 Once the strawberries are sliced I give them another rough chop just to get them in smaller salsa-ish pieces. Repeat with the rest of the fruits. Put all the fruits in a big bowl together and mix well. 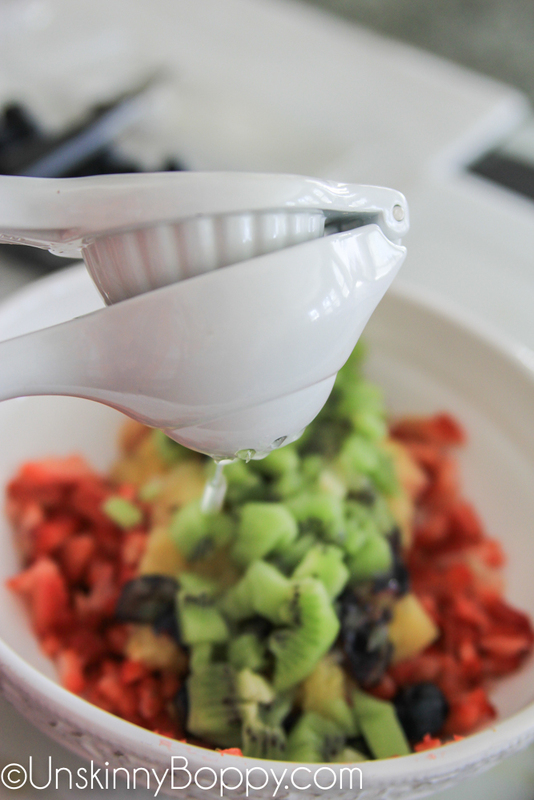 Give a big squeeze of lime juice over the top of all the fruit. Microwave a few tablespoons of cherry or strawberry jam in a glass bowl for about 20 seconds. 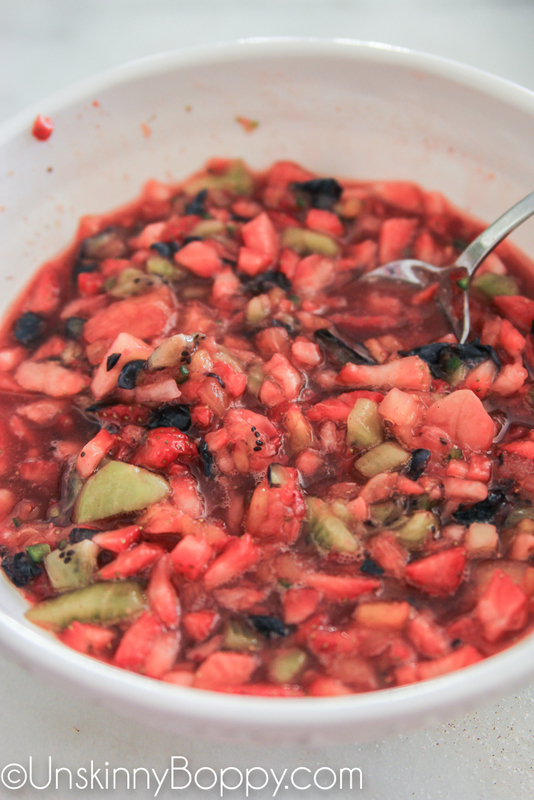 Stir into the salsa mixture for added sweetness and juice. If you don’t have any jam you can sprinkle in a few tablespoons of sugar and it will have a similar effect. 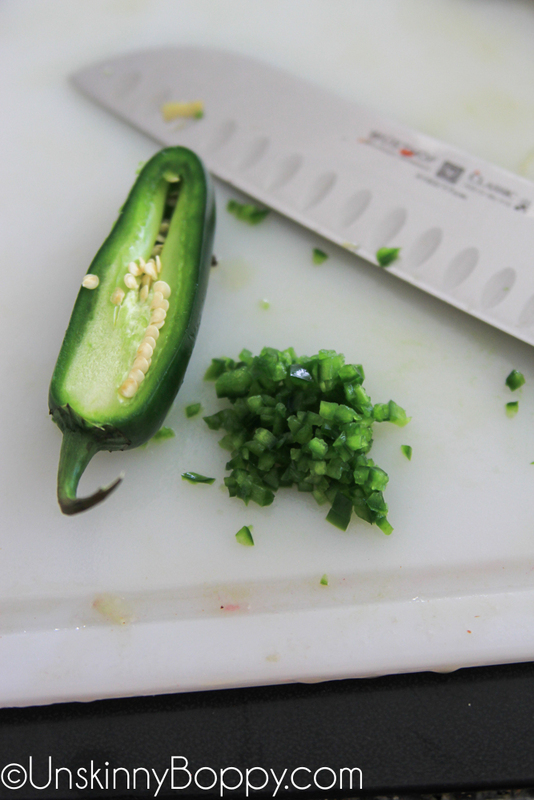 Chop up half a jalapeno into a very fine dice. Do not get any seeds in the mixture. Add as much or as little jalapeno as you’d like. This is a personal preference on how much heat you want to add to the salsa. I don’t like my foods to be very spicy so I added about 1 Tablespoon of diced jalapeno. Now let’s make the churro chips! 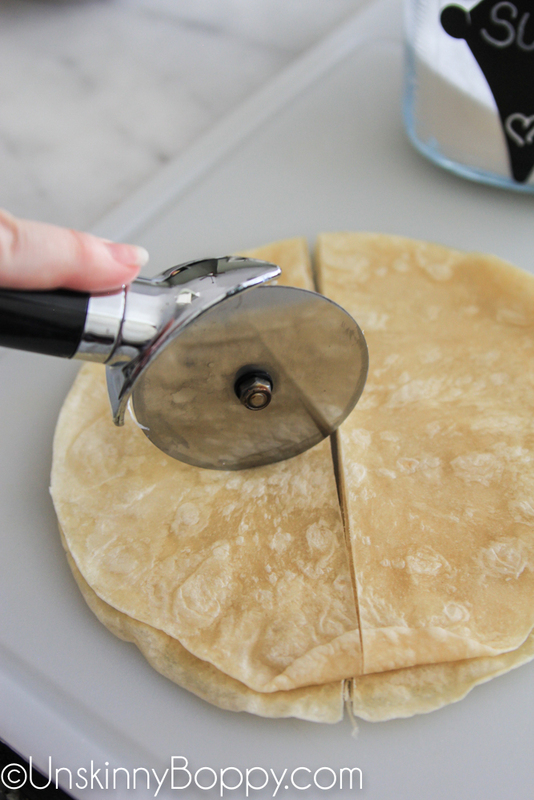 Take a stack of flour tortillas and cut them into strips or wedges using a pizza cutter. 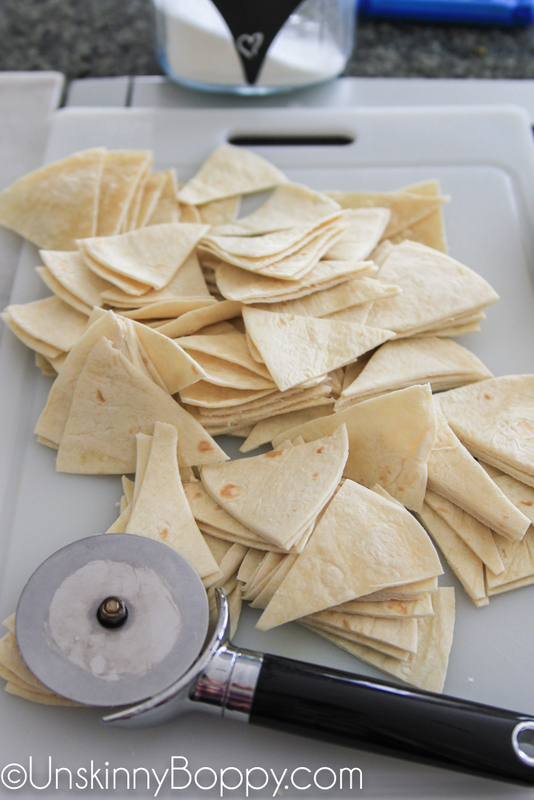 One bag of tortillas will make quite a few chips! 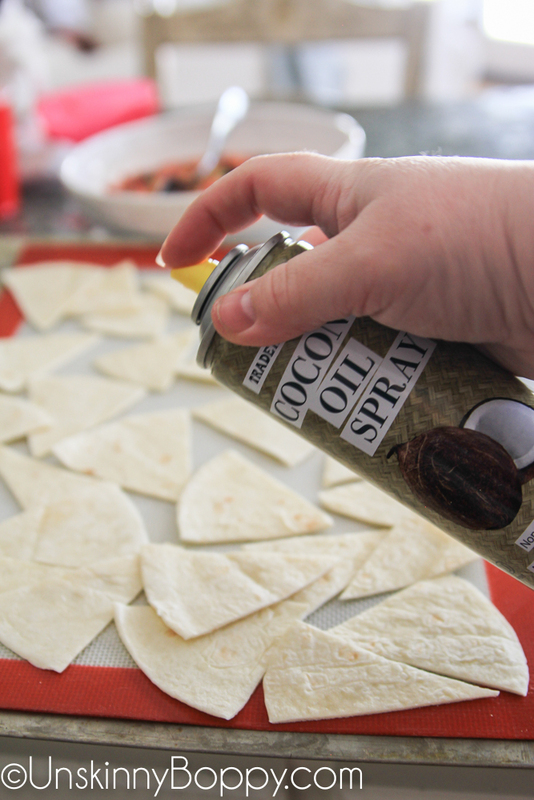 Spread the chips out in an even layer and spray them with cooking spray. 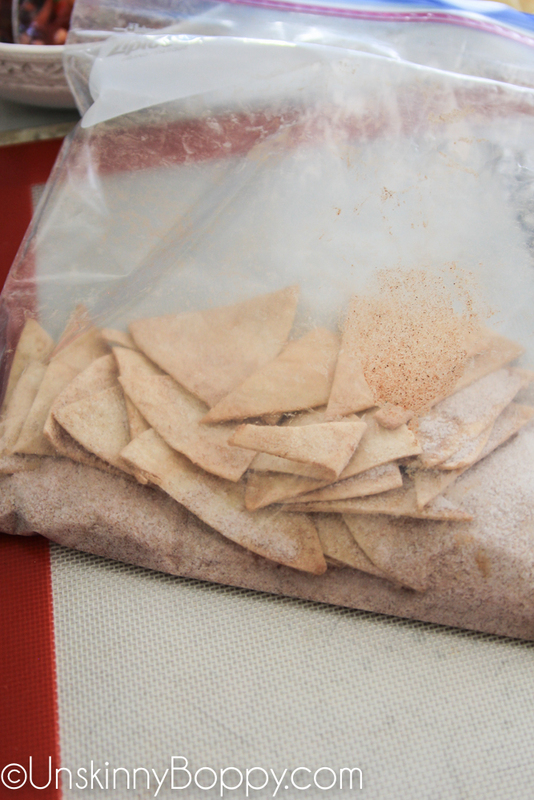 Add the cinnamon sugar mixture to a zip-top bag and add a few tortilla chips. Zip up the bag and shake, shake, shake! This will coat the chips evenly in the cinna-sugar mixture. Spread the chips out onto a cookie sheet and bake at 350 degrees for 12-15 minutes. Let cool for about 5 minutes to harden up. 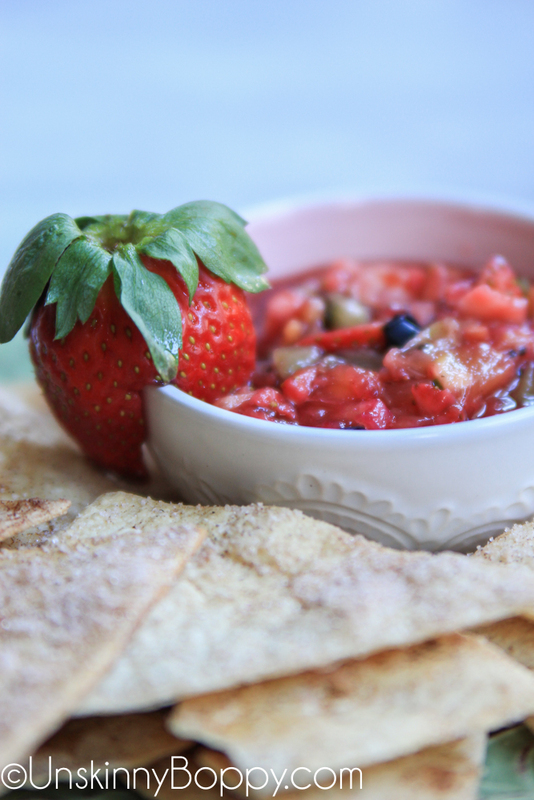 You can serve the chips and salsa immediately or store in separate airtight containers for a few days. Give this recipe a whirl for your next party and let me know how fast these chips fly out of the bowl. It will probably make your head spin! 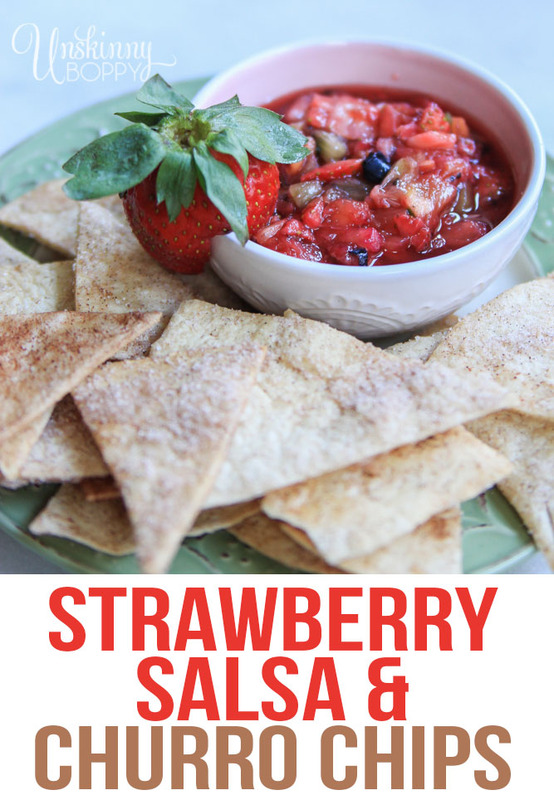 A simple summer side dish that will be the hit of any party- Strawberry salsa with a hint of heat from the jalapenos combined with a sweet cinnamon churro chip. 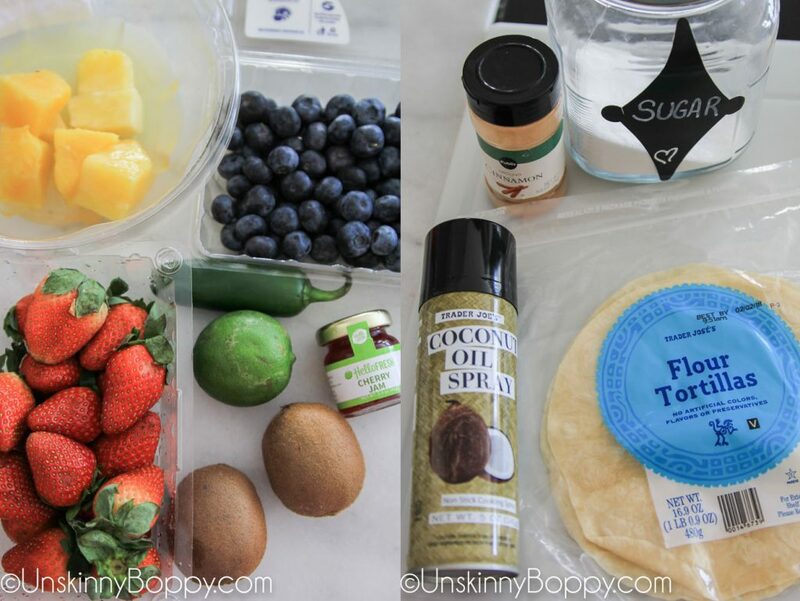 Slice the strawberries, blueberries, pineapple and kiwi into small pieces. 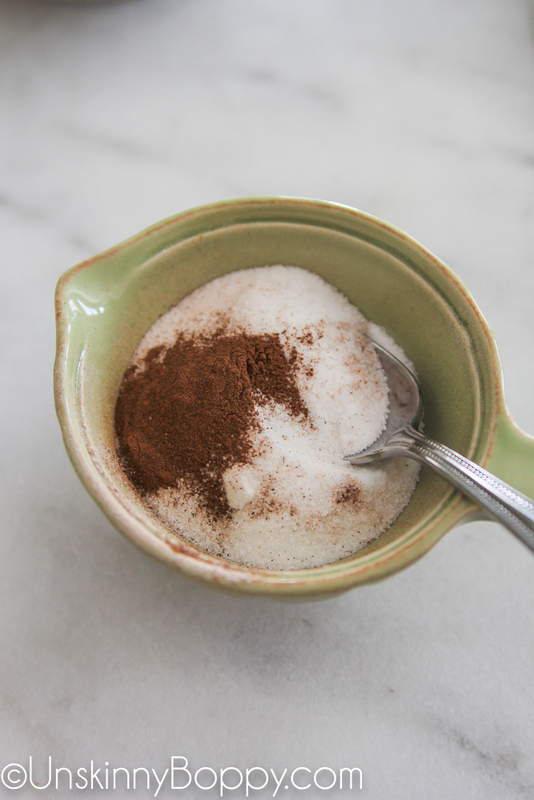 Add sugar and cinnamon to a zip-top bag and shake to mix. 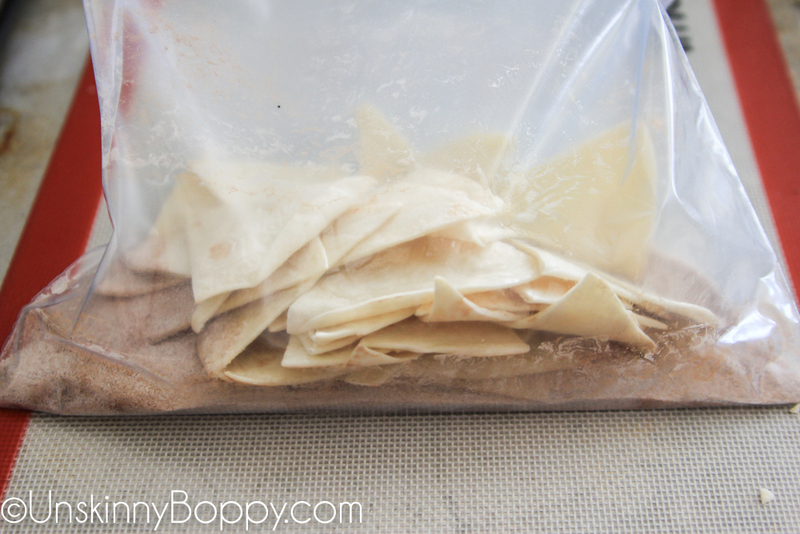 Shake the tortillas around inside the bag until fully coated with cinna-sugar mixture. Bake at 350 degrees for 12-15 minutes, then let cool completely to harden the chips.